Something that comes up time and time again in any kind of work is separating data out into separate workbooks based on the values of a field in the data. Let’s say you have sales data for your company and you need to send each of the sales representatives in the company a copy of their sales. You might not want to share the entire set of data with each rep but just their own sales due to privacy concerns around their commission based compensation. To do this, we will need to take our original set of data and parse it out into many different workbooks (one for each sales rep) based on the sales rep column in the data. Parsing and exporting data into different workbooks is a very common problem, but unfortunately Excel does not have a built in solution. 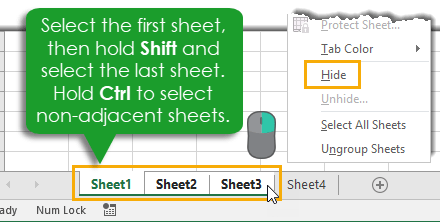 We would need to manually filter for each item in a column and then copy and paste the filtered data into a new file and save that. This can be very time consuming if we have a lot of values to filter or if this is an activity we will be doing monthly, weekly or even daily. Fortunately, we can automate this with VBA! 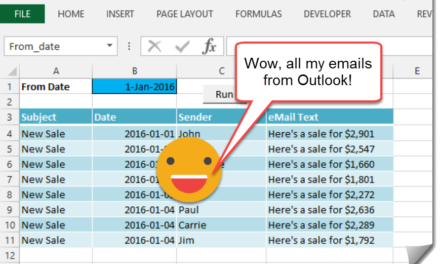 This template will allow you to separate out your data by selecting a column to separate it based on. This workbook uses a table called Data to hold the aggregate data. You can adjust the size and column heading to suit your data. 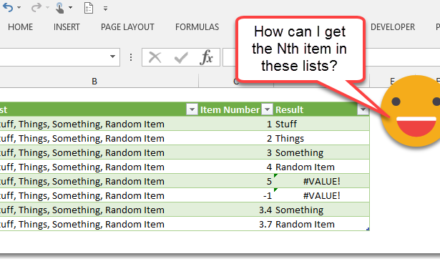 Delete or add columns as desired and rename the column headings to suit your own data. The drop down menu will automatically account for the new column headings. Set your save path accordingly, this is where the VBA will save all the new data files it creates. When the template is all set up, press the Run button and your new data files will appear in the save path folder. 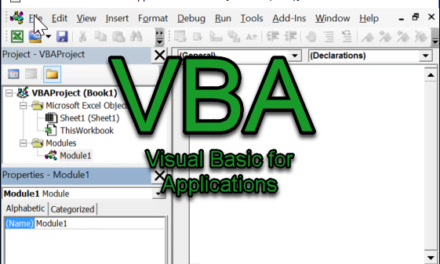 The VBA uses named range references so the template is flexible and you can cut and paste the sheet until you’re satisfied and you will not break the code. Here is the VBA code used in the template. ColumnHeadingStr = "Data[[#All],[" & Range("ExportCriteria").Value & "]]"
Note: This was tested on Excel 2016 but I have not tested it on previous versions. The tool is really nice. one thing i would like to suggest that the out put can be set with ” Autofit Column Width”. Good suggestion. I’ll try to add that in the next few days. Yes, a time stamp on the file name is an excellent idea and will prevent duplicates. My solution will currently overwrite any file that already exists. Hi John – what an awesome tool! Thanks so much for sharing. Do you have the VBA script of how to make the output set to Autofit Column Width? Thanks mate! The Team leader inputs the data in first 3 columns and selects the name of the team member to be given the task for column 14. He then runs the macro ExportByName and new workbooks are created if they already exist then add to the end of the file. The team members do the tasks and fill in columns Task1, Task2, Task3, Task4 and then date completed. All the work completed is consolidated. This is a complete project and I use it at work. I am able to do this thanks mainly to guru Dinesh Kumar Takyar. The code is giving me a Method ‘Range’ of object’_Worksheet’ failed run-time error (1004). It’s probably because I don’t understand what “ExportCriteria” and “Data[#Headers]” means in the code. They are not defined. Can you explain them? ExportCriteria is a named range in the spreadsheet template. You can use the name box in Excel to navigate to it and confirm it exists (possibly you accidentally deleted it. Data[#Headers] is a table reference. There’s a table named Data and we are referencing the column headings part of the table. This is such an amazing template! However, I wanted to know if there was a way to copy and paste as a table instead of values? I haven’t been trying to manipulate the code but haven’t been able to figure it out. I just tested it out. Works fine. Click on the orange button then click on the download icon in the upper right.